A self-contained game to be played in pairs. 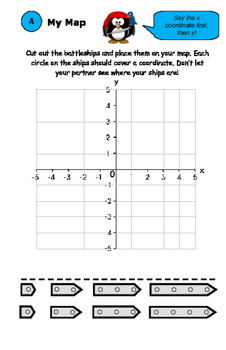 Use to revise reading coordinates on a grid. 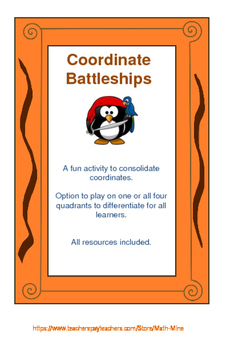 Best played once coordinates have already been introduced, as a consolidating activity. 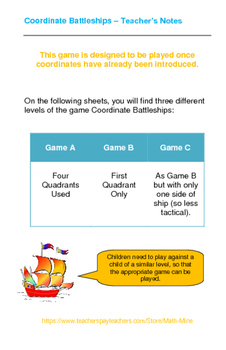 Differentiated versions of the game within this pack, including use of the first quadrant only, as well as all four quadrants. 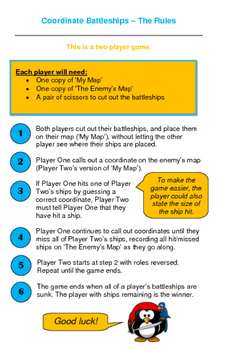 You will also find instructions on how to play the game within your pack.